Heat oven to 325°F. Uncover; bake 50 to 60 minutes or until thermometre inserted in centre reads 160°F. Sprinkle with remaining 1 cup cheese and the bacon. Bake 3 to 5 minutes longer or until knife inserted in center comes out clean, top is puffed and cheese is melted. Let stand 5 minutes. Other types of cheese can be used in place of the Cheddar, such as Monterey Jack, Colby or Swiss. 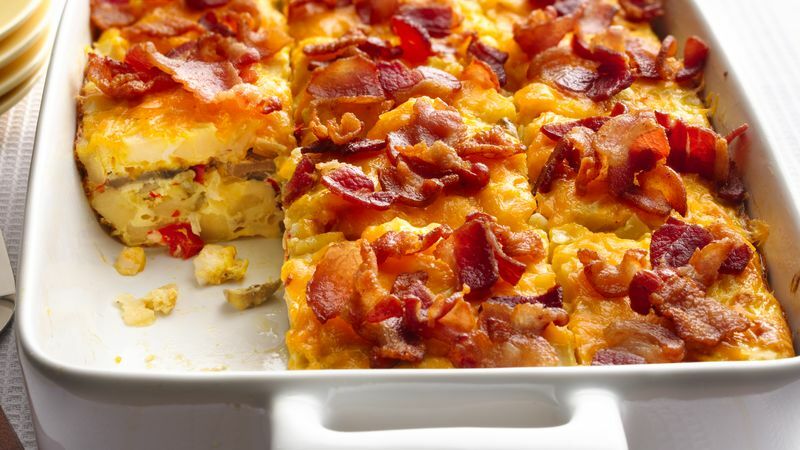 This is a perfect breakfast to serve with assorted muffins and fresh fruit.